One of the key tasks for the forthcoming week is to start properly evaluating Railroad & Co vs JMRI. So far the hardest part is working out which railroad & co products I think I need. A readers of previous posts will know I’m seriously exploring layout automation, and reviewing my previous assumption that Railroad and company was too expensive to consider. I don’t need Trainprogrammer; Decoderpro 3 looks much better to me, so I’ll stick with it. Plus Trainprogrammer wouldn’t allow me to plug the sprog & programming track into my Mac Book away from the railway room. I also use an iphone as handheld controller, and intend to run panels on a browser in a second computer or ipad. Even traincontroller Gold doesn’t include this, it seems I need a further RR & Co package, Smarthand Mobile. I’m still not sure that I wouldn’t need the Gold version, but for now I’ll assume not until a good reason comes along. To put £300 into perspective, that’s more than I paid for MS Office 2010. 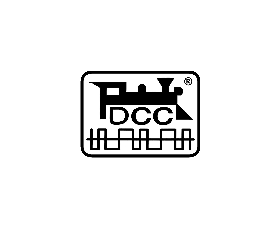 I’m also concerned that all the Railroad software was released in 2009, and is 3 years old, is there a new release just around the corner that might add to the cost? The price list indicates upgrading from old versions of software is not a low cost affair. I’ve also always fancied messing around with integrating sound with operations, JMRI has this built in, it looks like a further 130Eur with Railroad & Co. So the question remains, is Railroad & Co worth an investment of minimum £300 possibly rising to £600 over the JMRI package that is free. Rather than try building my own layout in RR & Co, I’m going to build the sample layout in the RR&Co manuals in both JMRI and RR & Co and see what the difference really is. NextAny Waverley Route Fans in East Midlands? I’m in the same position at the moment, but I think you’ve made the same mistake that I did when I first started looking at TrainController. Its a lot more powerful (even on the Silver level) than you’ve suggested here. From various comments people have passed to me, its a lot easier to set up that JMRI, and the forum is excellent for help and support. My suggestion, as well as creating your example layout, is to sit and have an evening reading through the Railroad & Co forum, there are a number of topics on there, where people are asking how to do something, or how to set things up and its amazing what you can do with the software, from my viewpoint it goes far beyond what JMRI can do. I’m looking to purchase the Gold version, as I want to make use of some of the advance features and I like realism! But from playing with the free demo, I had the layout working in a couple of hours – a friend reckoned a few days to do the same with JMRI! I have just seen a basic JMRI layout and thinking seriously about stopping JMRI/Rocrail/ MERG and reverting back to my original thoughts on RR&Co.